For people who love thinking about pop culture, and for the smaller subset of people who love thinking about pop culture in Portland, this past summer contained an embarrassment of riches. Oregon Jewish Museum’s That’s All, Folks: The Mel Blanc Story exhibit plus Oregon Historical Society’s Oregon Rocks exhibit equalled an unparalleled opportunity to examine Rose City’s cultural past. There was considerable overlap in the subject matter of the two exhibits. 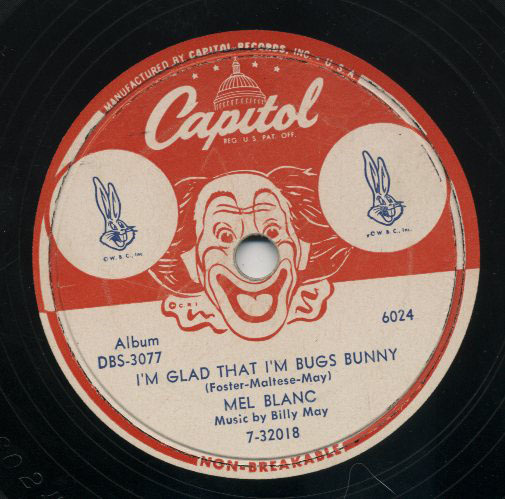 Mel Blanc was a musician. He grew up surrounded by live music. 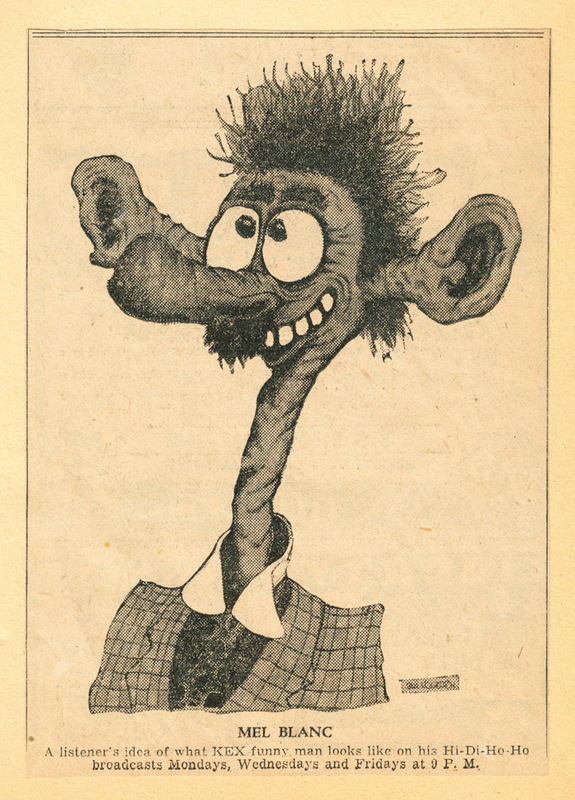 By 1915, the year Mel Blanc (then Mel Blank) arrived, Portland had 70 movie theaters. Gary Lacher’s and Steve Stone’s research uncovered the interesting factoid that when the Blank family got here from San Francisco, they moved right next door to a nicklodeon. That’s how many theaters there were! Everywhere you turned around! Mel wrote in his autobiography about how he loved them. He loathed school, but he loved theaters. 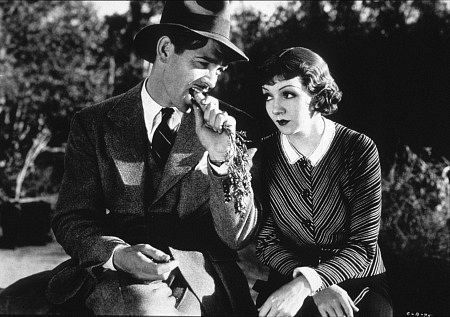 “Silent” movies were not silent, but were accompanied, either by a solo pianist or by a small (or large) orchestra. Recorded music had yet to be invented, so vaudeville theaters disseminated pop music via live music acts of every description – singers, instrumental soloists, and bands of every type. Mel Blanc was studying violin himself when he became enamored of the deadpan comic timing of violinist “Ben K. Benny”, the vaudevillian who later sawed his way to the top as Jack Benny. 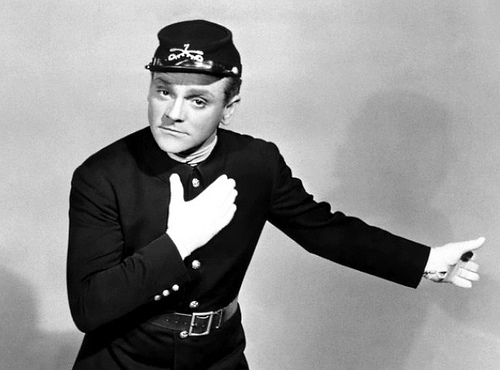 Blanc cites Benny as his favorite vaudeville act – he saw him perform every chance he got, paying his way in with cash he made selling Portland newspapers. 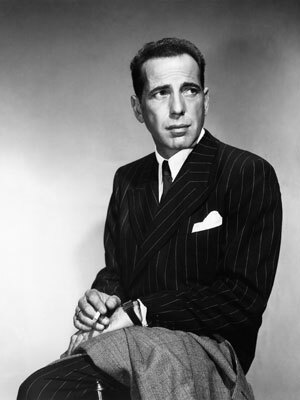 Once in Hollywood he worked with Jack Benny for years, both on radio and on television. However it was Portland’s music scene which first attracted the attention of the young, gifted performer. He must have heard an awful lot about Louis Kaufman, the musical prodigy who outgrew the opportunities for training here in Portland and went to Julliard in 1915 (the year Mel Blanc arrived). 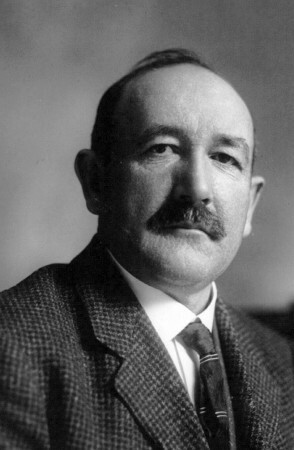 Kaufman, like Blanc, played the violin. Like Blanc, he started in Portland and wound up in Hollywood. He saw Portland bandleader George Olsen ascend to Broadway, and later Hollywood. He saw Portland musician Del Porter, a personal friend, duplicate that feat. When George Olsen was recruited by Fannie Brice for Broadway, his replacement at the Multnomah Hotel was Herman Kenin, another Portlander. 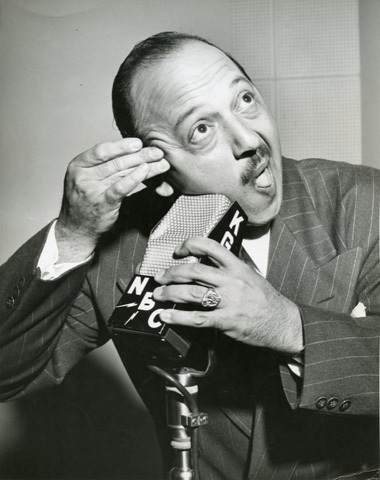 Kenin gave Mel Blanc some of his first professional gigs. Portland presented Mel Blanc with enough union scale work as a sousaphone player in dance bands that he was able to take full advantage of the low paying, but tremendously foundational, voice artist gig he was offered at KGW Hoot Owls in 1927. The Hoot Owls show included live music, comic sketches, and a great deal of topical reference and improvisation. The atmosphere of barely contained creative anarchy was similar to what he would later encounter in Los Angeles, at Termite Terrace. Portland radio historian Craig Adams documented Mel Blanc’s shift from musician to voice artist in this timeline, constructed from newspaper accounts. If you would like a window into the Jazz Age Portland which produced Mel Blanc, go see That’s All, Folks! : The Mel Blanc Story exhibit at Oregon Jewish Museum. But go right away! The exhibit comes down on Sept. 12. If you would like a delightful overview of Portland music, concentrating on Portland rock, head over to Oregon Rocks at Oregon Historical Society. Heather Perkins was the first person to point out to us that Mel Blanc was first and foremost a musician. As we journeyed through preparations for the Mel Blanc Project, we came to understand how profoundly true this observation was. Mel Blanc was first trained as a musician. He first performed as a musician. He was first discovered in Portland playing with a band. He supported himself in Portland as musician. He was discovered at Warner Brothers by a fellow musician. ….like many American kids, my first experience of an orchestra and a conductor was through cartoons, specifically through Bugs Bunny cartoons. As a kid, I had no idea what “The Rabbit of Seville” or “What’s Opera Doc” were parodying. 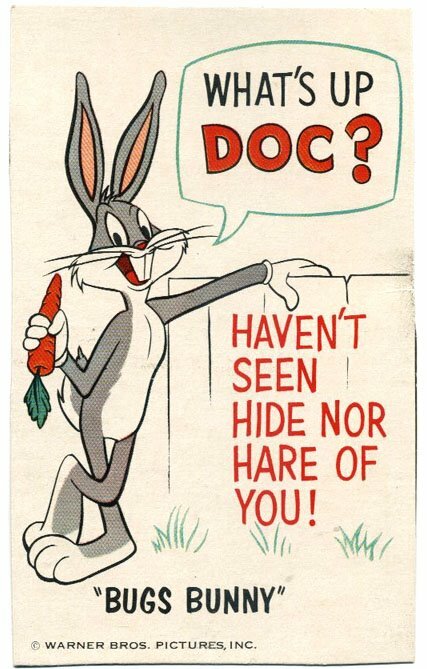 When I got older and first heard Rossini’s Barber of Seville and Wagner’s cycle of Ring operas, I experienced that shock of recognition – “oh, that’s where that Bugs Bunny music comes from!” – which would become a recurring theme in my listening life. From the Great American Songbook, small combo jazz by Raymond Scott, tone poems by Mendelssohn… over the years I would listen to these very different types of music only to realize I’d heard them before. If you would like to stretch your musical horizons in ways other than watching Warner Brothers cartoons, on Sept. 9 & 10. at the Hollywood Theater in Portland, Oregon, Heather Perkins, the aforementioned originator of Oregon Cartoon Institute‘s Mel Blanc Project, will perform a live soundtrack to a rare screening of Starman: The Evil Brain From Space, a 1950’s Japanese TV special. Where are you in Mel Blanc’s Portland? Find out on July 23 and on July 30. The tour begins at 1:00 PM at the Hollywood Theater. Suggested admission: $10.00! Remember to bring train fare for the MAX; we’ll be headed to downtown Portland. Here are some of the stops. Tour guides Bill Crawford and Dennis Nyback will provide the historical context for each site. Some stops will include screenings of films from Dennis Nyback’s archive. All quotes, unless otherwise indicated, are from That’s Not All Folks! 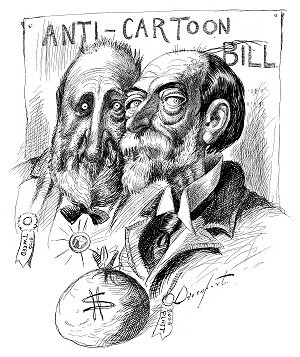 My Life In The Golden Age Of Cartoons And Radio, by Mel Blanc and Philip Bashe. Sharon Wood Wortman, Portland’s leading bridge historian, confirms that the Steel Bridge is the only Portland bridge which matches the description Mel Blanc gives. She adds that he would have been trespassing on railroad property, since the lower level was at that time was reserved for trains, and pedestrians were forbidden. Ronald Kramer writes in Pioneer Mikes, A History of Radio and Television in Oregon: “Blanc was playing violin in Herman Kenin’s Orchestra when Degree Team member Harry Grannatt heard him sing and play his ukulele during one of the Multnomah Hotel’s Breakfast Club programs. 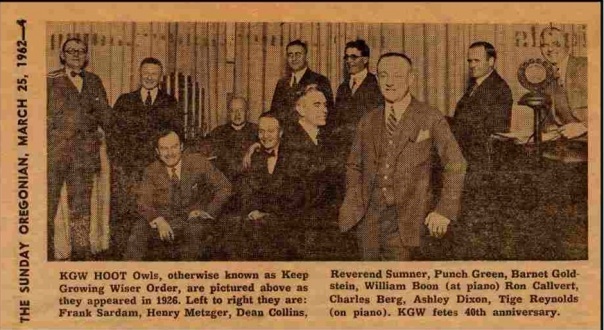 The Degree Team was the collective name of the innovative media pioneers who performed on KGW radio as The Hoot Owls, a program conceived and produced by Charles F. Berg, whose name appears on his downtown building. 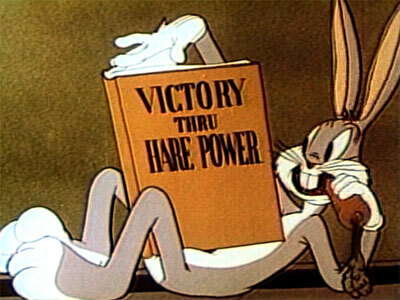 Mel Blanc failed to match that manic cackle up with Happy Rabbit, the prototype for Bugs Bunny. He finally found a home for it with Woody Woodpecker. This is not a complete list! Just some of the stops on the tour. Because several of the buildings on the tour are architecturally significant, we have invited Sara Garrett, the executive director of MotivSpace, along as a guest speaker. Sara received her Bachelor’s degree in Environmental Physics and Building Science from Portland State University, and is completing the final steps for her Masters in Architecture with the University of Toronto. In addition to our walking tours, a visit to the Oregon Jewish Museum’s Mel Blanc exhibit is a great way to explore the importance Mel Blanc’s Portland years played in his overall development as an artist. In this beautifully written article for Tablet, Portland author Katie Schneider reports on her visit to Oregon Jewish Museum’s current exhibit That’s All Folks! The Mel Blanc Story. As she walks the reader through Mel Blanc’s early life, Schneider uses her novelist’s eye for detail to pick out the milestones which also served as touchstones of Jewish identity. Among the first people (six year old Mel Blank) befriended were the elderly Jewish couple who ran the local grocery; they spoke Yiddish, and the boy became fascinated with the strange dialect and its intonations. He learned to imitate it. It was, by his own admission, the first voice he ever performed. Some of his earliest gigs were with the South Parkway Minstrels, an amateur vaudeville club in Portland. The Minstrels were part of Neighborhood House, founded by the local chapter of the National Council of Jewish Women to help South Portland’s immigrants. He married Estelle Rosenbaum in a secret civil ceremony before finally having a Jewish wedding on Lag B’Omer. When Blanc came on board, the famous hare was named “Happy Rabbit.” That, Blanc believed, was too bland. The bunny needed personality, and that personality, in Blanc’s mind, took the shape of a fast-talking tough Jew from Flatbush Avenue. A fast talking tough Jew from Flatbush Avenue who had never actually set foot in New York, that is. Mel Blanc writes in his book that as a young man he longed to travel to New York, but that he never had the bus fare. This tension, between tradition and assimilation, is one of the engines which drove Mel Blanc’s creativity. 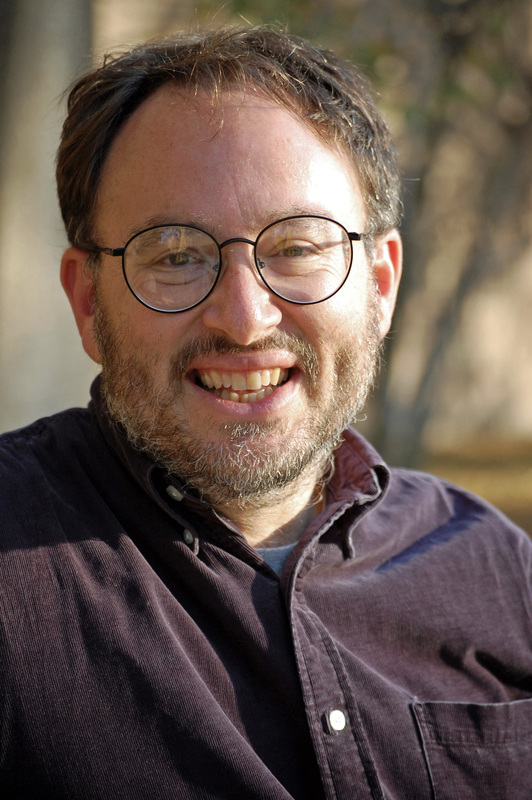 What does it mean to be a Jew in the West? How do we construct our identities? How much of the past comes with us into the future? What is essential? Who decides? I believe Mel Blanc’s engagement with these deeper questions is the source of his strength as an artist. His early life in a multilingual immigrant community provided the seedbed for this lifelong fascination. But questions which deal with identity are not limited to the Jewish community. These are questions all Americans explore. We are a nation of immigrants. 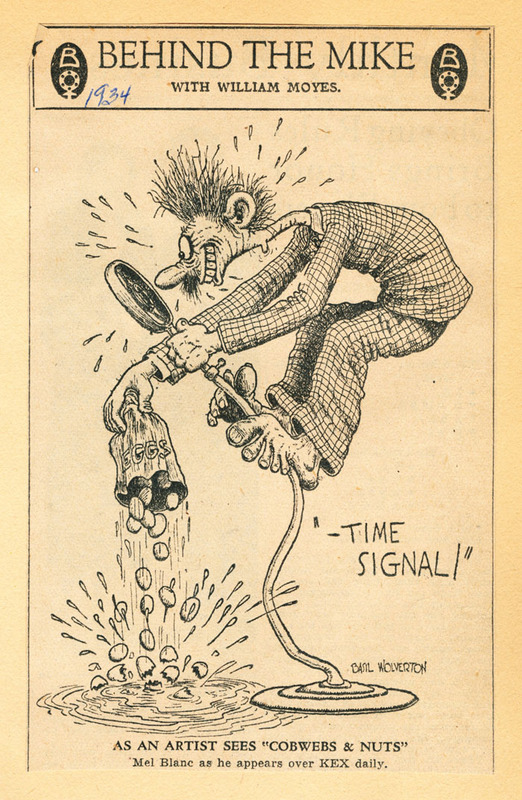 Is there a better description of Mel Blanc’s stable of voice characterizations, from wide eyed Tweety Bird to bombastic Foghorn Leghorn, from perpetually enraged Daffy Duck to perpetually bewildered Barney Rubble, from hungry Wile Coyote to amorous Pepe LePew to good natured Porky to “ain’t I a stinker” Bugs, than “one long negotiation between heterogeneous elements that resist synthesis” ? Fonvielle, himself a Hollywood screenwriter, goes on to defend pop culture as a crucible of American identity, particularly when it comes to the pleasures and the responsibilities of freedom. Liberty, in a political sense, would have no “legs”, would close on Saturday night, if it weren’t reflected in this liberty of the everyday imagination — and this liberty of the imagination could probably not have survived if we were required to take it too seriously, to think it through . . . if it weren’t dressed up in shameless, unadulterated hokum. Do Americans use pop culture to wrestle with/explore/come to our own understanding of “e pluribus unum” ? Jon Stewart seems to think so. Plurality is at the heart of the American promise of freedom. We don’t all have to be the same. A natural consequence – we have to live with the conflicts and tensions which come with difference. Freedom is no free lunch. Freedom, it turns out, is a long slog. That’s where comedy comes in. Katie Schneider identifies herself as having been “raised on Warner Brothers cartoons.” Lloyd Fonvielle’s argument takes that claim seriously. Thank you, Katie Schneider, for your guided tour of the Oregon Jewish Museum’s wonderful exhibit. This exhibit is the first ever, in all time, to examine Mel Blanc as an Oregonian and as an artist. Here are the amateur radio performers who first coached an extremely talented Portland teenager to professional success. These are the men, who, in their explorations of the lively, dynamic, and fertile new artform called radio, gave Mel Blanc the key to his future. Go see for yourself the life journey of this American artist. The Oregon Jewish Museum exhibit, which has multimedia interactive elements, draws on family photos and heirlooms loaned by the Blanc family. It will be up until September 11, 2011. Join the Portlanders who plan to deepen their Mel Blanc knowledge by attending a walking tour of Mel Blanc’s Portland, held on Saturday July 23 and on Saturday July 30. Led by Bill Crawford and Dennis Nyback, the tours leave from the Hollywood Theatre at 1:00 PM. Join the Portlanders who plan to deepen their knowledge by attending a walking tour of Mel Blanc’s Portland, held on Saturday July 23 and on Saturday July 30. 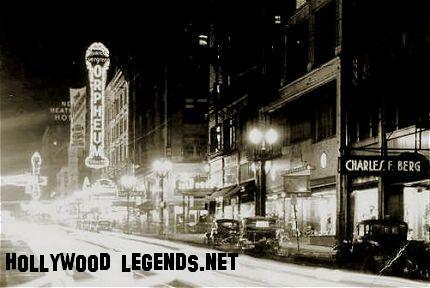 Led by Bill Crawford and Dennis Nyback, the tours leave from the Hollywood Theatre at 1:00 PM.